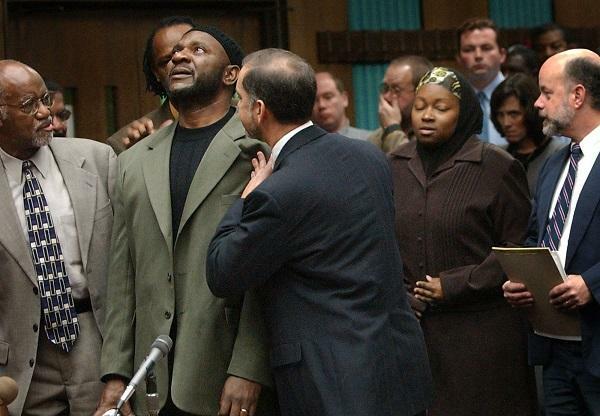 Darryl Hunt with lawyers Mark Rabil (R) and James Ferguson, reacts to a judge dropping murder charges against him at a hearing in 2004. Former Winston-Salem Journal reporter Phoebe Zerwick. Host Frank Stasio talks with reporter Phoebe Zerwick about her report "The LLast Days of Daryl Hunt". He was also a vocal lobbyist for the Racial Justice Act, a North Carolina law in effect from 2009-2013 that addressed issues of racial bias in the penal system. In 2016, Hunt committed suicide, and the details surrounding his death left his advocates and community with a lot of questions. For journalist Phoebe Zerwick, those questions were worth looking into. 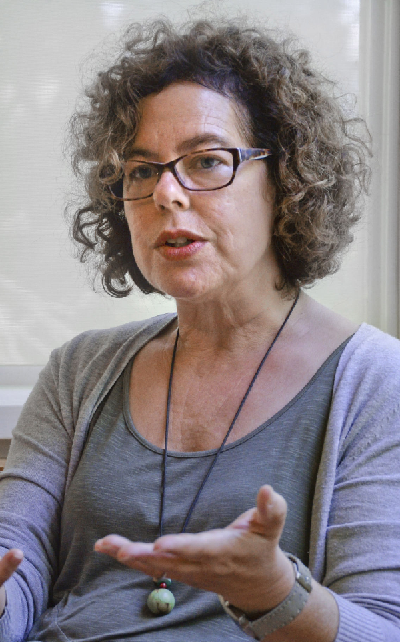 Zerwick helped uncover details that led to Hunt’s exoneration in 2003, which were published in an investigative series in the Winston-Salem Journal. This case is so convoluted and so complicated...In the middle of the time he was incarcerated, so in 1994, as part of one of his appeals, his defense team did DNA testing...And the evidence did not come from Darryl Hunt. It also did not come from any of the other suspects in the case, and that was really important. Once somebody is convicted, the onus is on the defendant then to prove innocence. And proving innocence, it turns out, is really, really difficult. So appellate courts kept coming up with different explanations for how he could have still been at the scene – have participated in the murder, even if his DNA was not what was found at the scene. So he remained in prison for nearly 10 more years after that initial DNA evidence. By last year he’d been out of prison for 12 years. He had really become an important advocate for reform in the criminal justice system, and not just locally. 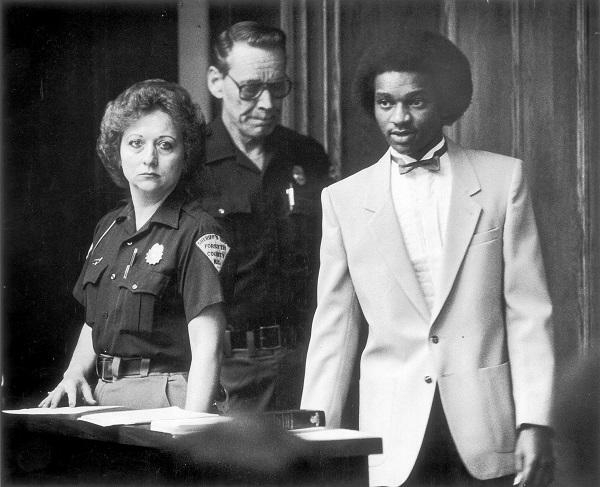 Although, he was a very significant player in North Carolina in advocating against the death penalty and advocating for the Innocence Inquiry Commission. And advocating for a law that has since been repealed but that gave people on death row the chance to appeal their sentence if there was evidence of racial bias. But also he was certainly a national figure as an advocate, largely because of...A documentary that was made about his case that was on HBO and screened around the world. He was this international advocate, and locally he worked one-on-one with lots and lots of people. First of all, he had been coming to visit my class at Wake Forest University where I teach first-year writing. He had just met with my students at the end of January...Just a few weeks before he died. And I remember when he was talking to my students...He was talking a lot about painful moments in his life, especially in prison. I remember sitting there...Thinking there was so much about his story that I didn’t know. My work had really focused on the case, and it hadn’t been originally a piece about Darryl Hunt the man. Then when he died, I think what first drew me to it was I’m a journalist so what do I do? I start looking into things. It was just kind of a natural impulse to start looking into it. And it was so mysterious that he had been missing and that he shot himself. And then, as I got into it, just that original question came back to me that there was this deeper story that hadn’t been told...I still felt it was my job to finish telling that story. All along I had this feeling...that that grace was true and real, but that it also played into public expectations. That’s almost what we demand of people who we’re going to...Give the privilege of speaking about justice. What made him such an effective advocate was this sense of grace and this kind of forgiveness he had about him...There’s this huge price that I think that he paid for meeting those expectations that we had. That was probably the most difficult part for me about writing this piece, which was whether to write about that. And in fact, even at that point, whether to even pursue writing the story. So, one of the people I interviewed for the story was his ex-wife April Hunt. And she was very open, very gracious with me. She began to tell me about this history of drug abuse. She was also reluctant to talk about it because she didn’t want to damage his reputation, or damage the way people thought or felt about him. So, I kept pursuing that line...I never confirmed it...The state did not do the [toxicology] screening...I would say that in talking with other people who were close to him, they had heard these rumors over the years and had dismissed them as lies, or as people trying to damage Darryl Hunt’s reputation. But I think the people who were close to him came to believe this too. Darryl Hunt’s advocacy led to many reforms that should prevent wrongful conviction. One of the things his advocacy led to was the establishment of the actual Innocence Inquiry Commission. So North Carolina has, I think it’s still the only commission in the country that will hear claims of actual innocence...Which is historic and groundbreaking. I believe that Hunt's advocacy is in part responsible for that. I learned in a very painful and deep way that the people we hold out as our heroes have frailties and are human, and it's a double-edged sword. You put someone on a pedestal and celebrate them, but it also puts a tremendous burden on them.